Macro nutrients are those absorbed in large quantities from the growing media or in our case, the nutrient solution. They are the best known and recognized constituents of plant food and as such, are used as a handy guide in identifying the potency of a plant food. You may be familiar with these N-P-K ratings as printed on all commercially available plant food containers. Necessary for the formation of amino acids, co enzymes, and chlorophyll. Deficiency: A lack of Nitrogen (in the form of nitrate and Ammonium) will result in spindly plants with small yellowish leaves. Some parts of the plant may turn purple. 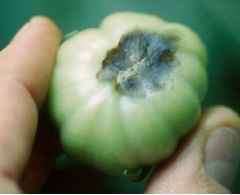 Toxicity: Excess Nitrogen will result in overly vigorous growth, dark green leaves and delayed fruit ripening. 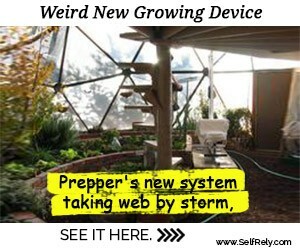 Plants may also become more susceptible to pests. Prodction of sugars, phosphate and ATP (energy) - flower and fruit production - root growth. Deficiency: Phosphorous deficiency causes plants to stunt and turn dark green. 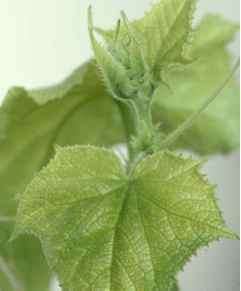 Lower leaves become yellow and may assume a purplish tinge as phosphorous is drawn from them to feed new growth. Leaves can curl backwards and droop while fruit production and the root system is compromised. Blossom End Rot (BER) in tomatoes is caused by a lack of calcium to the maturing fruit Often the cause of this problem is a sudden, intense heat wave which causes plants to transpire unusually fast and since Calcium is slow to travel through the plant, the result can be BER. Using shadecloth in the greenhouse during peak summer/sun is a great way to control heat and prevent BER in tomato crops. Toxicity: Excessive Phosphorous will reduce the availability of copper and zinc. Protein synthesis requires high potassium levels. Hardiness, root growth, and the manufacture of sugar and starch also require potassium. Deficiency: Growth slows while the older leaves develop mottling and plants becomes prone to fungus. Toxicity: Excessive Potassium may cause a secondary Magnesium deficiency. 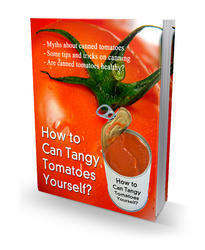 What is causing hydroponic tomatoes to rot? 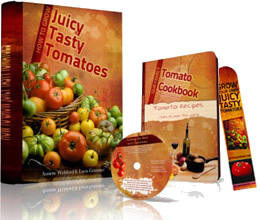 What commercially available plant food is best for hydroponic tomatoes?